Michael Bacon and Kevin Bacon of the Bacon Brothers perform during the second annual Love Rocks NYC! concert at the Beacon Theatre in New York. 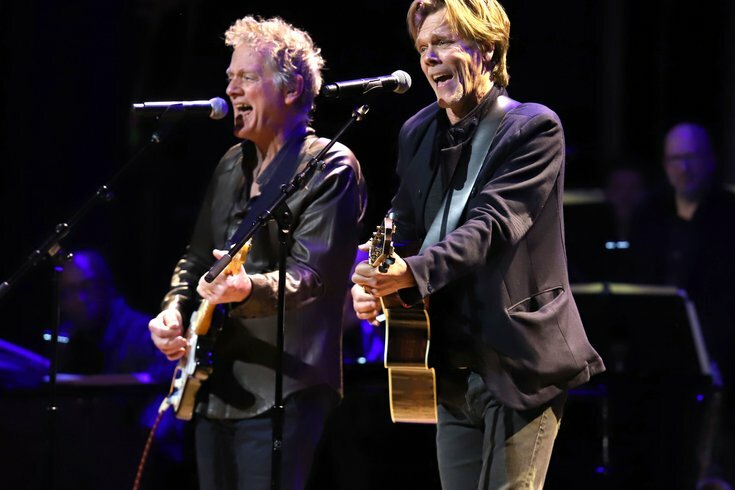 In 2016, the Bacon Brothers, a rock band comprised of siblings Michael and Kevin Bacon, played a sold-out show in Ocean City, N.J.
On Monday, Aug. 6, they'll return to the Shore to perform another concert at the Ocean City Music Pier. Tickets are currently still available through Ticketmaster, starting at $39. In June, the Bacon Brothers released a 10-track, self-titled album. Their debut album, "Forosoco," came out in 1997.